There once was a time when bar food was simpler fare: Think beer nuts, pretzels, and, if you were lucky, some freshly microwaved popcorn. Though you can still find spots that offer those old-school, blessedly free treats, pub grub has been elevated considerably since the “good old days”; you just have to know where to find it. 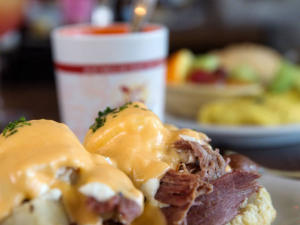 Though any place in the French Quarter is bound to have higher prices than usual, there's one spot that recently opened that is more than worth it. Launched by local entrepreneurs Robert LeBlanc and Liam Deegan, Longway Tavern was originally built over two centuries ago and, during the 1900s, had a favorable reputation as a waystation of sorts due to its longtime, bohemian resident writers Roark and Mary Rose Bradford. LeBlanc and Deegan sought to revive this hospitable “aura” and succeeded. Stop by the darkened bar on Toulouse Street for a Sazerac or a sidecar and feed your soul with items like a French baguette served with whipped lardo and fermented tomatoes, radishes with butter and caviar, or a Caesar salad with fresh romaine, salted egg yolk, anchovies, and crispy chicken skin. Over in the Central Business District on Poydras Street, the Copper Vine recently opened in the space that long housed Maylie's (and, more recently, Happy’s Irish Pub). Beautiful both inside and out, it's the only place on the street with a garden patio. The wine pub offers lots of wines on tap, with the added convenience of half-glass servings, so you can sip your way through vintages from California and Oregon or labels from Italy and Spain, most of which won't cost you more than a five-spot. 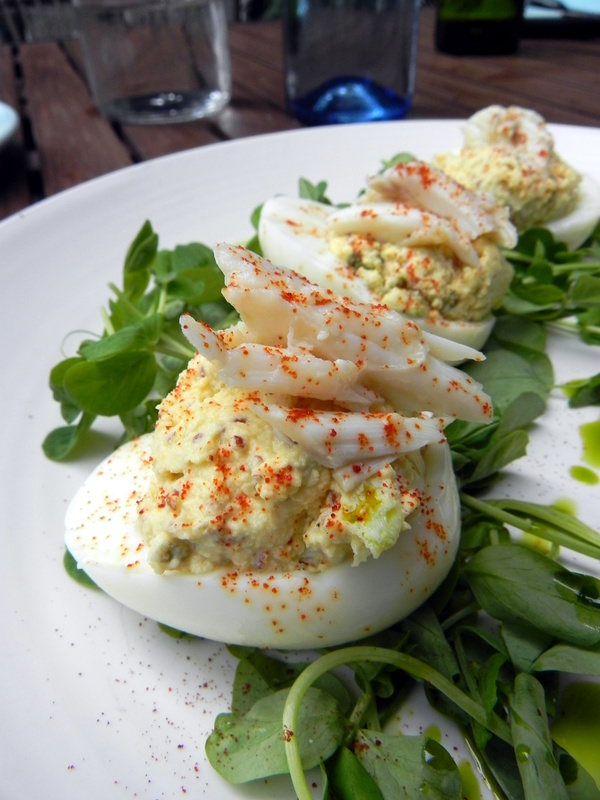 Of course, they also have a marvelous menu of munchies to choose from, like duck fat fries with garlic aioli, Brussels sprouts, and deviled eggs with jumbo lump Louisiana crab meat. Finally, spend an evening filled with music at Three Muses on Frenchmen Street. Owned and operated by chef Daniel Esses and vocalist Sophie Lee, this bar and restaurant has been a classic almost since it opened eight years ago. Sit back and enjoy a cocktail while listening to local musicians, like jazz pianist Tom McDermott, the Shotgun Jazz Band, Royal Roses, or Gal Holiday and her Honky Tonk Revue. 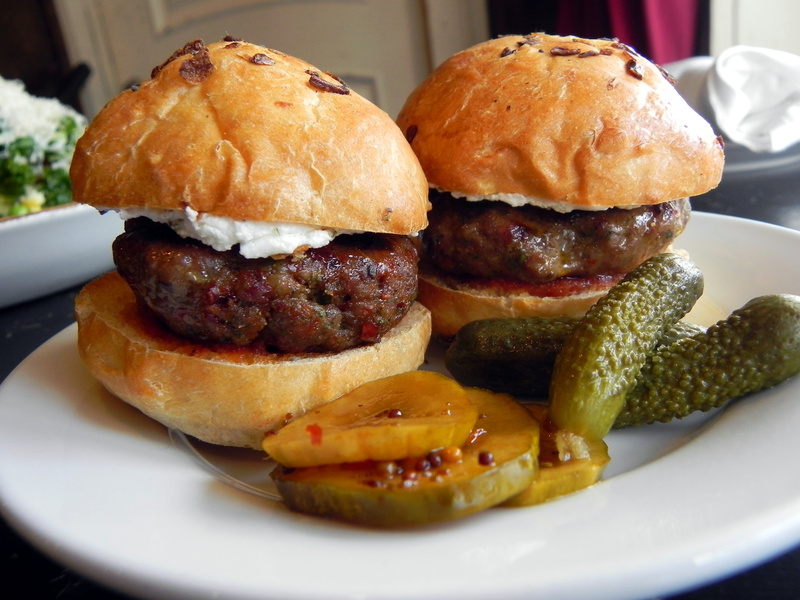 Seasonal and surprisingly affordable, the menu features dishes like french fries with feta and gremolata, kale salad with toasted pepitas and Sternschnuppe cheese, and juicy lamb sliders with tomato chutney and herbed goat cheese.